When it's time for the evening's entertainment, our facilities surpass any venue. When it's time for the evening's entertainment, our facilities surpass any venue. Our attention to detail extends to our entertainment services too, with high quality audio and light systems. If you're looking for the perfect place for y our guests to dance the night away, we've got it covered. Available in a range of sizes with 24sq ft being the most popular, our dance floors have a high quality, black acrylic scratch proof surface which retains a mirror like shine and looks fantastic for every occasion. If it's performance space or staging that your after, our platforms are built from 8 x 4ft aluminium LiteDeck provide robust stages and come in a range of sizes up to 24 x 8ft. They are perfect for a live band or to provide a raised area for speeches and presentations. 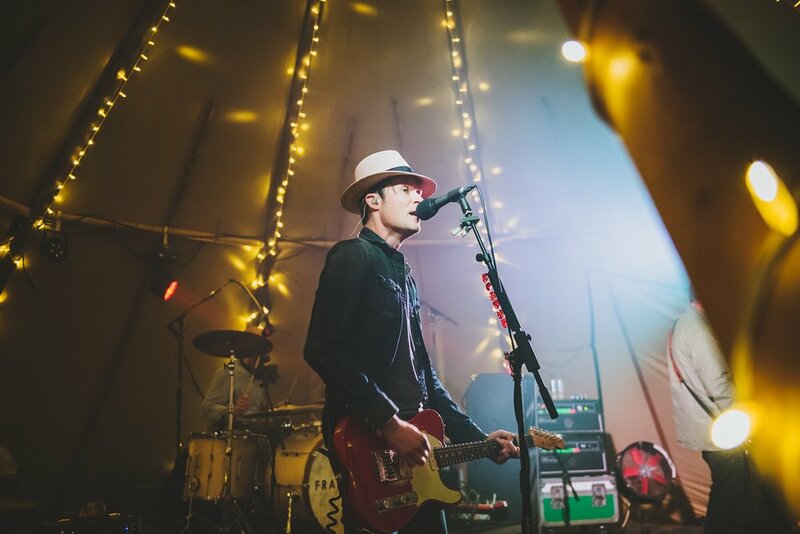 To complement our sound systems we offer a selection of effects and band style lighting matched to the tipi interior. Each lighting fixture has been selected to specifically match the tipi interior and is programmed to work within the space. For DJ only events our packages are compiled from barrell scanners, moving heads and haze machines. At events featuring a live band a complimentary stage wash package can be included to provide focal light on the stage area. Most systems are programmed using a sound to light sequence. However, for those clients who really want to wow their guests lighting engineers are available to create a custom live show perfectly sequenced to the music being played on stage. No party is complete without music! To create the best sound possible we use high quality equipment from leading manufacturers such as Void Acoustics, Pioneer, Lab Gruppen and L’Acoustics. We offer a range of different systems matched to your individual requirements. From iPod only set ups through to live bands or DJ only set ups our large stock of audio equipment allows us to cater for any scenario. To ensure everything runs perfectly on the day we offer qualified sound engineers and stage managers when supplying sound systems for live bands.